Firefighters battled a house fire in North Philadelphia. 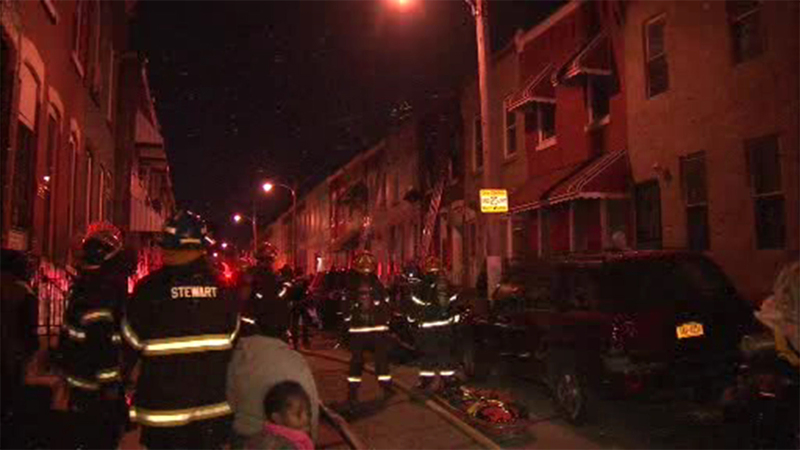 NORTH PHILADELPHIA (WPVI) -- Firefighters battled a house fire in North Philadelphia. Crews arrived to smoke and fire showing from a row home on the 2200 block of North Cleveland Street around 6:30 p.m. Sunday. Officials say everyone inside managed to get out safely. No word on what sparked the blaze.